We take a business-driven point of view on architecture. Understanding what your organization’s capabilities are, and what your strategic vision holds, drives the enterprise architecture. We believe that enterprise architecture IS strategy, and is the fast path to business execution. 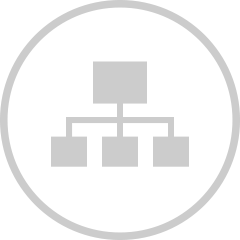 A robust Enterprise Architecture will give your organization governance, control and direction, as well as align the organization’s strategy with what needs to get done (aka, “execution”). Decision-making is key; therefore we start Enterprise Architecture from the business. STA Group has over 15 years of Enterprise Architecture leadership and experience. While we are certified in TOGAF and the Zachman Framework, no two of our clients’ engagements have been alike. Our nimble approach, combined with our deep technical expertise, allows us to adapt to our customers’ effort and still allow us to drive to results. STA Group’s Enterprise Architects, with decades of experience, are Business-Technologists who understand the language of business and translate its strategic intent into enterprise architecture designs with a unique Data-Driven approach that leads to more effective business transformations and a competitive advantage. Download our white paper on Data Driven Enterprise Architecture (PDF).